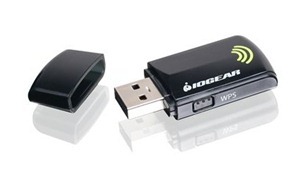 The new IOGEAR Compact Wireless-N USB Adapter allows you to connect your laptop or desktop to any Wireless-N network in your home or office. The Wireless-N (802.11n) USB 2.0 Adapter is the perfect solution for those users who want to upgrade older computers to the next generation of wireless technology. Download (16.79 MB), Driver/Software for Windows XP 32bit, Vista 32/64bit, Windows 7 32/64bit.